On April 13, 2018, the WeChat Marketing Summit Chat Conference was hosted by entrepreneurs in Shanghai. Aaron Chang, the founder and CEO of JINGdigital was invited to attend and deliver a speech at this event. Aaron has been involved in the marketing community for decades, but he recently founded JINGdigital, China’s leading WeChat marketing automation platform, helping him become well versed in the marketing of brands in China. The theme of Aaron’s speech was: “Binding the WeChat System to Members is the key for brands to maximize the value of each individual customer.” With the introduction of digital marketing, “member binding” has become an indispensable part of the marketing process. From as early as the last century, brands have used the membership system to improve customer duplicate purchase rate and loyalty. With mebership cards becoming a thing of the past, WeChat is the answer to bring back the membership system. 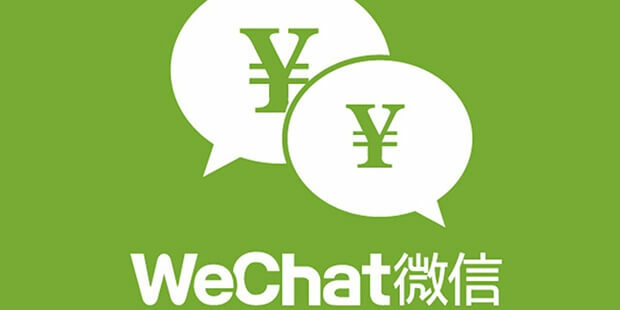 WeChat’s real-name system makes it the platform of choice for brands to bind customers to their company. The new digital “membership card” is stored in the WeChat card package, which is easy to manage and convenient to use. As the leader of WeChat’s automated marketing industry, JINGdigital provides their services to brands using the WeChat public account. JINGdigital helps brands convert followers into potential customers and non-followers into brand members. For example, JINGdigital’s unique “Welcome Journey” allows followers to become members of a brand by using a binding-action within this “conversation” with the automation system, which can reduce the loss of traffic caused by the original H5 registration. JINGdigital’s WeChat marketing automation technology uses fun interactions betweens brands and members to enhance customer loyalty and improve membership rates. In his speech, Aaron listed the online and offline activities, retail stores, WeChat payments, e-commerce small programs, and other scenarios that allow customers to become a member of a brand, which spontaneously became a marketing strategy for KOL to complete purchases. B2B and B2C have different marketing characteristics, and have selected practical cases to share with participants. According to JINGdigital’s research, WeChat is not the only business channel for B2C brands to use to successfully enhance interactions with customers, but it is an important platform for B2B brands to cultivate customers and improve purchase conversion rates. JINGdigital’s WeChat marketing automation strategy is based on the recording of indivdual attributes and behavior of followers. JINGdigital then analyzes this follower information and develops a clear follower portrait to personalize marketing content for these followers. Marketing automation forces brands to understand the “I” (each individual follower), and to let every “I” become a unique marketing process. Thanks to marketing automation, follower awareness of brands has improved, while purchase conversion rates and brand loyalty have risen. JINGdigital, China’s leading provider of WeChat marketing automation, helps brands personalize expereinces for individual followers, thereby deepening brand influence and increasing purchase conversion rates. In 2018, JINGdigital successfully passed the evaluation to become a Salesforce ISV partner, which enabled more international and Chinese companies to explore WeChat marketing. With the continuous development of new marketing strategies and technology, JINGdigital is bound to help more enterprises find success using automated marketing.